It was senior night at the Westwood High School lacrosse field and my daughter’s lacrosse experience was ending with the final game of her senior year. For 13 seniors, it was a bittersweet moment where they would play their last game together before spreading their wings and going off to colleges around the country. Their opponent was St. Andrews, one of several ‘Saint schools’ as we call them, that have a consistently strong lacrosse team that beats us convincingly each year. Going into this game, the coach boosted the players by telling them that they were good enough to compete and win. Although some of the players didn’t believe her, it was true. The team could play at this level, but they simply lacked self-confidence. The players had an internal story that they told themselves over and over like a recording that they had in their head; “we aren’t good enough to beat this competitive team.” As that recording repeated over and over, it had undermined their confidence, and that perception inevitably became their truth. But on this night, their attitude changed. This was the last game of the year and their last chance to play together. It was senior night, and the stands were filled with a huge crowd of family and friends. The players believed that even if they weren’t good enough to win, they were at least going to go all-in. One player on the team especially exemplified this mindset. Belle was a senior on the team who had been playing for two years. 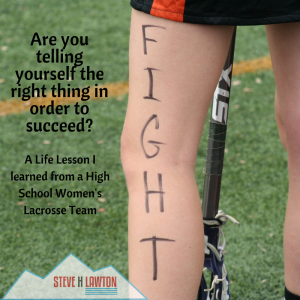 All season long, it was evident that she lacked confidence in her lacrosse skills and when the ball was passed to her, she worried about losing it. 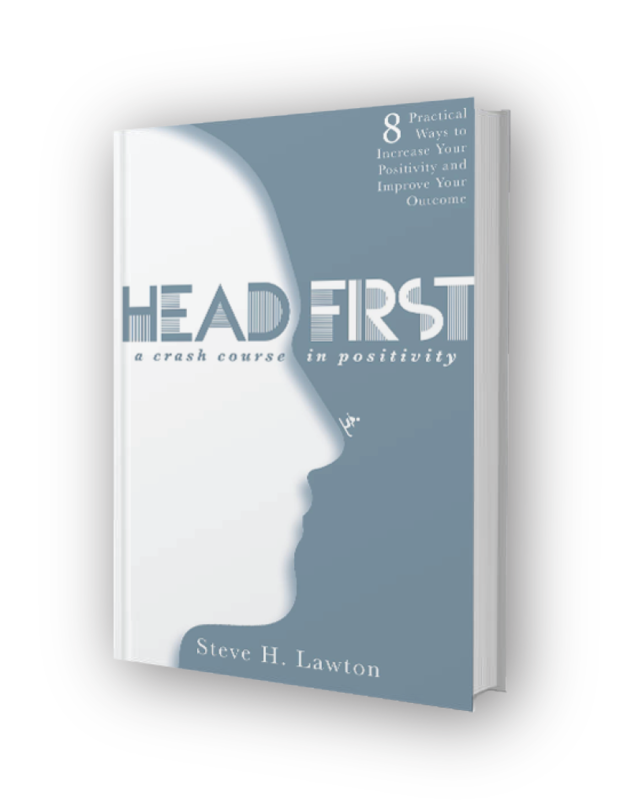 Like many mindsets, this one was self-fulfilling as opponents could sense her unease and they would increase pressure on her causing her to drop the ball or make a bad pass. Somehow, this night was different for Belle. After the game, I asked her what she was thinking that made the difference. 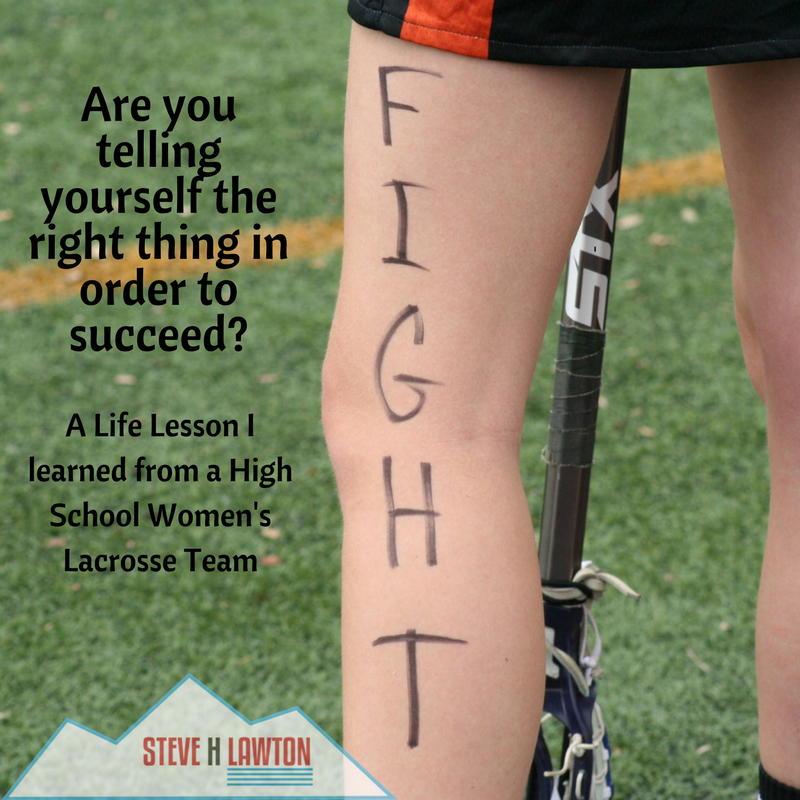 She told me that early in the game, she somehow changed the recording in her head from “Don’t drop the ball!” – to – “I got this!” For the first time ever in her lacrosse career, she called for the ball. Her teammates passed it to her, she made a quick dodge around her defender, drove toward the goal and got of a shot that rifled past the goalie into the net. On this, the last lacrosse game of her life, she took her first shot, and scored her first goal. She turned around and looked at her teammates with a look of excitement, surprise, and disbelief. Her teammates screamed and surrounded her and the large crowd in the stands roared – knowing the significance of that score for Belle. We were leading 1 to 0. Like an invisible wave, the confidence that Belle exhibited spread throughout the team. The entire team began to play more aggressively than they had the entire year. Although competitive, we were still struggling to keep up. By halftime, we were down 6-3. During halftime, the team had a choice to make. They could play the old recording that they weren’t good enough or they could change the tape to a new story. The players knew by then that they really could compete and they decided that win or lose, they were going to leave everything they had out on the field. When they came out onto the field in the second half, the opponent was in for a big surprise. Westwood came back strong – with even more confidence and aggressiveness. Belle, playing with a new confidence, was a transformed player on the field and was able to get yet another shot and goal. Having never taken a shot in any game in her entire career, now she had taken two shots and scored two goals. She had waited to the last game in the season to make that mental switch from “I’m not good enough”, to “I got this.” For the record, she is the only player in the recorded history of the team to have a 100% shot percentage. Before long, the team had an astounding comeback and we were leading 10-8. Not giving up, St. Andrews fought back tied it up with 1 minute left, 11-11. With time running out, a player sprinted down the length of field, dodged past defenders and took a final shot that hit the net literally as time expired and the horn sounded. We had lost. Our team dropped to their knees, tears erupted. It was a heartbreaking moment – we had expected the storybook ending with Belle or another senior scoring the winning goal, but it didn’t happen. Sometimes in life we don’t win the prize we are shooting for at the time and it can be heartbreaking. It’s a great lesson for these young women graduating high school, and it will make a difference in every aspect of thier life. It’s an important lesson for all of us; our mindset and self-confidence make all the difference in the results we get every day in our lives. The key is to build enough self-confidence to get the courage to simply try. When you try with all you’ve got, you may succeed, or you may not. You may win, or you may lose. Either way, you will live fully, without regret, learn something about yourself, and create lasting memories. You may even open a path that was previously out of reach. Let’s learn something from these young women. What is it that you are hesitating to try? What is that one thing you want to do, but lack the self-confidence to try? What are you telling yourself that is preventing you from achieving what you want? It’s important to send yourself a positive message. Change that tape in your head to “I got this!” and do it.